Ariel Baby Little Mermaid Girls Birthday Ribbon Tutu Outfit Pink - $69.50 : 4 Angel Babies, Custom Creations for the Angels in your life! 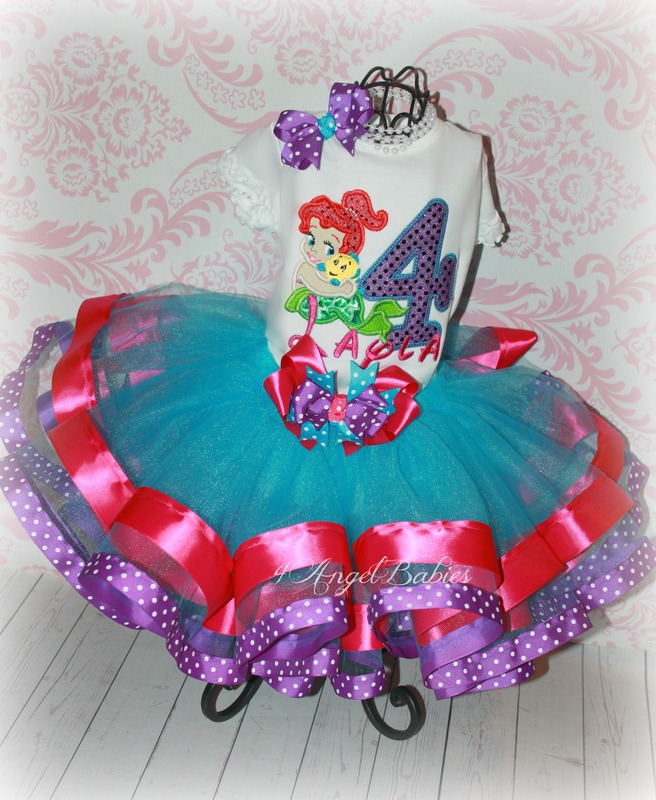 This precious girls birthday baby Ariel Little Mermaid inspired boutique ribbon tutu outfit is made especially for your angel baby with layers of turquoise tulle and an unbelievable amount of hot pink satin & purple grosgrain ribbon! 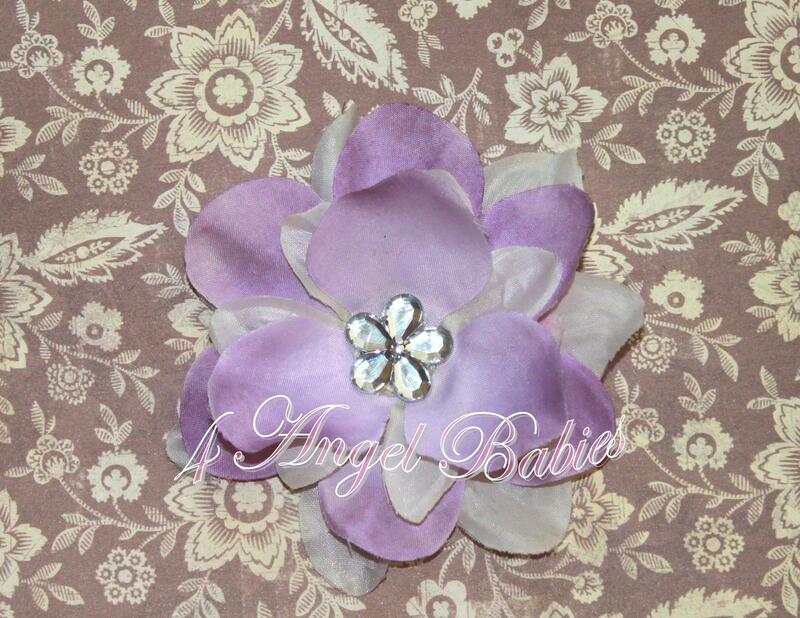 Don't be fooled, my ribbon tutus contain more than twice as much ribbon as other retailers use! Outfit includes custom tutu, personalized top and coordinating hair piece. Available in almost any color scheme. Your little angel will adore twirling in this super fluffy tutu which looks phenomenal in photos and cake smash sessions. This tutu is intended to be shorter than my traditional style tutus, so I suggest bloomers and/or leg warmers/tights when wearing this. Sizes above 2T will be less fluffy although they will have more ribbon and tulle (the longer length gives the illusion of less volume). There are no iron-on images here. All images are made of durable cotton and appliqued with beautiful embroidery thread. 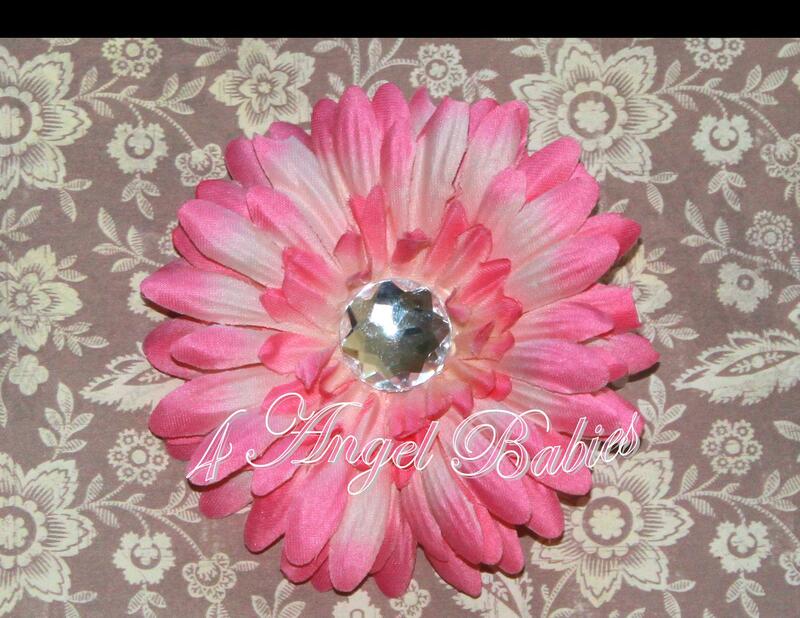 Customize with name, colors, fabrics, and number (optional) of choice. Bow on tutu can be removed and used as an additional hair piece.